My Outdoor Life, the long awaited autobiography from outdoorsman, naturalist, survival expert, photographer, broadcaster, author, plantsman and tracker - Ray Mears. He is a man who can shape a canoe or a spoon, make fire without matches, track man or wolf, make shelter of snow or sticks, and knows which plant is good to eat and which is not. But where his drive to be outside came from, what prompted his interest in nature and why he took the route he has in life is now clear, through this, his autobiography. Ray’s earliest influence in life was Kingsley Hopkins, his judo teacher at Downside school. Through Kingsley he learned about the meeting of mind and body, and of being in control. He learned about the possibilities of survival in the outdoors, and from that came the ability to tune into nature and to listen to his instincts. This aspect has been essential in his life and work ever since. Through the book we travel with Ray on expeditions with Operation Raleigh, for whom he worked, and read how he developed his considerable photographic skills. We join him for some of his favourite World of Survival television programmes, and meet some of the people he has worked with and the animals he has encountered along the way. Ray talks about the terrible losses in his life, of his first wife Rachel, and his father. He talks about the time he nearly died in a helicopter crash whilst filming in the USA, and of his involvement with the tracking of the Northumbrian murderer, Raoul Moat – the hardest tracking experience of his life. Loaded with tips and helpful insights, My Outdoor Life is a book for all who admire Ray Mears, his philosophy and his skills. It is threaded through with his honesty and the wisdom he has learned throughout his travels, and is a must-read for anyone setting off on their own adventure. Ray Mears’ company, Woodlore, is now in its third decade, and thriving. Ray, married again, happy and also thriving, is in his fiftieth year. "In many respects," he says, "I feel as if I'm only just beginning." His incredible energy and thirst for knowledge will never fade, it seems. 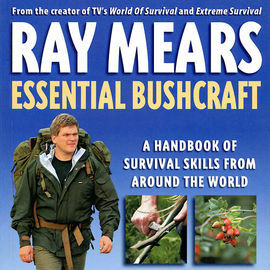 About the author: Ray Mears was born in 1964 and has travelled the world studying and teaching the art of survival. He has appeared extensively in TV programmes such as Bushcraft Survival, The Real Heroes of Telemark, Wild Food, and Ray Mears Goes Walkabout. As well as his TV and writing work, Ray founded Woodlore, the School of Wilderness Bushcraft in 1983, and has been teaching his unique Bushcraft skills there for the past 30 years. 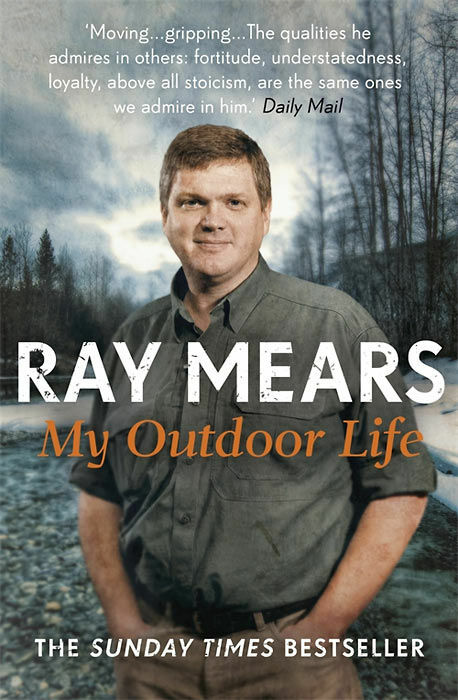 My Outdoor Life - Ray Mears Autobiography - Signed Copy is rated 5/5 based on 17 customer reviews. I've been a big fan of Mr Mears for as long as I can remember. I was very much looking forward to reading this book, and was not disappointed. As with his TV programs, he manages to convey his many experiences and achievements with equal measures of confidence, self-awareness, and modesty. I've no doubt you could sit for hours listening to him talk about his experiences and you'd not be bored for a minute. Also, you'd find no trace of bravado or self-promotion. This book does not gloss over the tragedies and setbacks that Mr Mears has suffered in his life. He describes these events with the same clear insight as he does with everything else. An excellent read. Interesting and informative. Great book, great story. Only bad thing is that the book wasn't signed as I was hoping. They just printed the signature on paper. Maybe I had wrong expectations, but I was hoping that the book was signed by pen. Would have been a more personal touch. But still, a great book. Thank you for your feedback. I am sorry that you thought that Ray''s signature had been printed. 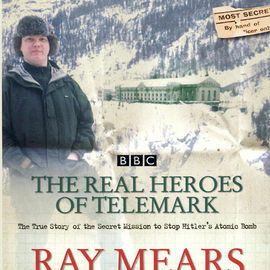 I can confirm that all books that Ray has written are available from our website signed by Ray. These are signed personally by Ray in pen and not printed. Having grown up watching Ray Mears on telly, his book transports you into the world that is Bushcraft and all the adventures that come with it. His love and respect for the natural environment and the people who call it home should be a message all should take on board as we only have one world. 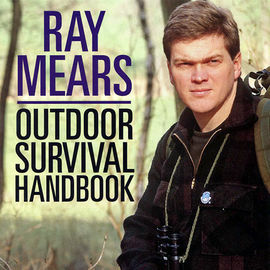 I've been a fan of Ray Mears for years and thoroughly enjoyed this book. What a book!!! 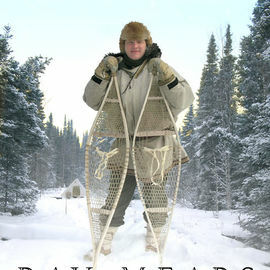 I have truly enjoyed reading it as it was a journey into the life of Ray Mears. Written in a way that makes you feel like you are listening to Ray tell you his story. He takes you on a journey the same way he takes you on a journey in his TV programs; Calmly, clearly, respectfully. It really felt as if I was standing next to him during all these adventures. Laughing at the jokes and crying with the sadness. A great book by a great person. I bought this as a gift, it arrived very quickly. Was well received by my dad, especially when he saw it was signed too. I'm only about 1/3 of the way through the book but it is a great read. I've taken it out while camping/hiking and I've enjoyed reading by the fire. Having it signed by the man himself is a really nice touch. I had already listened to the audiobook many, many times, but you can't put that on a shelf! Incredible story, incredible life and my all-time hero to aspire to. They say, 'don't meet your heroes', but Ray is probably an exception and I can't wait to book my first course sometime soon. 5* book, would recommend to anyone. Book received very swiftly and as expected is a great read, nice to hear how Ray learned his trade from a very young age up to the present day. Would definitely recommend this book. The Autobiography is the best I have read of its kind (I have read a few). Fantastic read which not only gives insight into Ray's amazing life but also provides several guidelines to live by which I have already put into use in my own life. I opted for the signed copy, which I must admit added a lot for me for some reason.